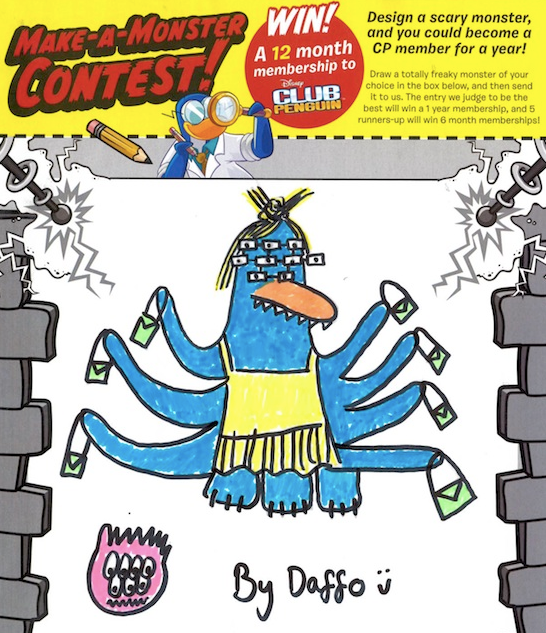 Club Penguin Cheats by Mimo777 Club Penguin Cheats by Mimo777: Monstrous UK Magazine News! Hey penguins! Check this out! The Club Penguin magazine team is running a wicked competition for all the super talented artists in the UK. Sounds pretty legit! Have fun drawing you UK peeps! Who thinks this would be fun to do even if you're not in the UK!? I mean, a whole year membership! Haha! is there any chance to participate? Look what happens when you drill the pumpkin ice burg!